I had a great conversation with Matt Biancardi at Reverb.com earlier this month. 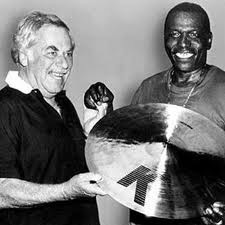 We talked in great detail about the Elvin Jones drum collection and my extreme good fortune to have been able to acquire it. Acquiring this monumental collection and the relationships I’ve made with countless drummers as a result of it has been one of the most gratifying experiences of my life. Check out the article Matt wrote at the link below.